Parents of transgender and gender-diverse kids/teens/adults gather to learn, talk, laugh, and share insights on caring for, supporting, and raising their kids. The parent discussion is facilitated by a trained parent volunteer. Concurrently, trans and gender-diverse kids meet in a separate room for facilitated discussions and age-appropriate activities designed just for them. Led by trained volunteers. Siblings are welcome. 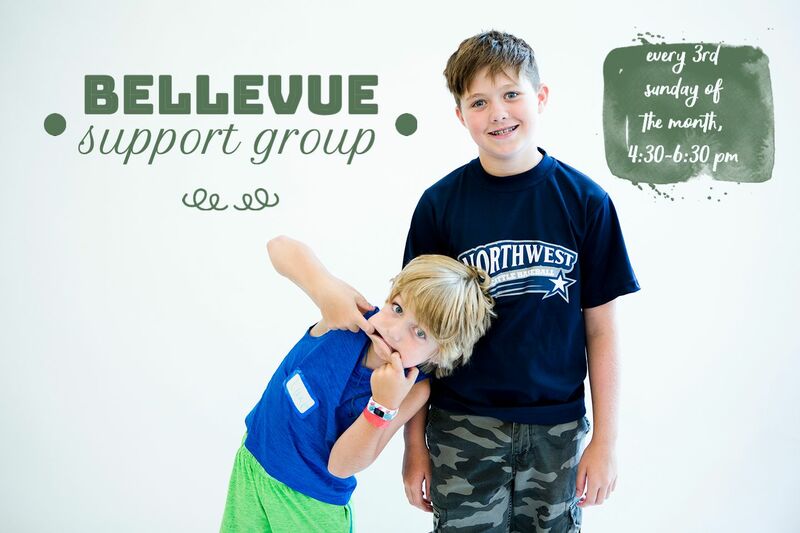 This Bellevue group meets every third Sunday of the month! Join us at our Bellevue meeting location. If you are new to the groups, email us for location information. 2 Comments on "Bellevue – Families of Transgender Kids – April"
I just noticed for the first time that there is teen group in Bellevue in addition to Seattle and Tacoma. You information above about teen group in Bellevue says that the group meets every FIRST Sunday of the month and this is the third Sunday. There is a mistake in one of those statements. We live in Sammamish so we can come to Bellevue or Seattle meeting. Who is running teenage and adult meetings in both locations today so we can decide where to go? It’s probably too late to get your answer but you never know. Thank you for catching that, Dorota! Bellevue is on the third Sunday. Seattle is currently the only site where we have a teens-only group (on the third Sunday of the month). At all of our other meeting sites, all ages of kids attend at the same time. Sometimes a few teens attend, sometimes it is mostly littles or tweens. In Seattle, our Teens leads are Gil and Nadja. In Bellevue, the leads vary. It is a brand-new site – still getting established!